The inception of Swarna Jewels began in the year 2002, where Mr. Sateesh Rachamadugu, founder of Swarna Jewels, applied his vision of providing customers with quality merchandise at the lowest possible price. Swarna Jewels now has clearly taken the lead in offering path-breaking design choices to our discerning customers. The motto of Swarna Jewels is to deliver high quality goods to our valuable customers at the lowest possible prices. Swarna Jewels is situated in the new and developing business location at 2101, Street road, , PA 19020 located in the heart of Asian business and community. We certainly are one of the most successful and the fastest growing companies in 22k Gold & Diamond industry in the USA. Our massive retail store is built on over 3000 Sq. ft. in order to provide our customers a great shopping ambience, by being able to choose from a huge variety of traditional and contemporary styles. We are also known for the collection we offer as we are dedicated to ensure we are able to cater to all kinds of choices/tastes our customers visit us with. We offer an extensive range of designs in gold and diamond hallmark jewelry handpicked exclusively from various parts of the world. 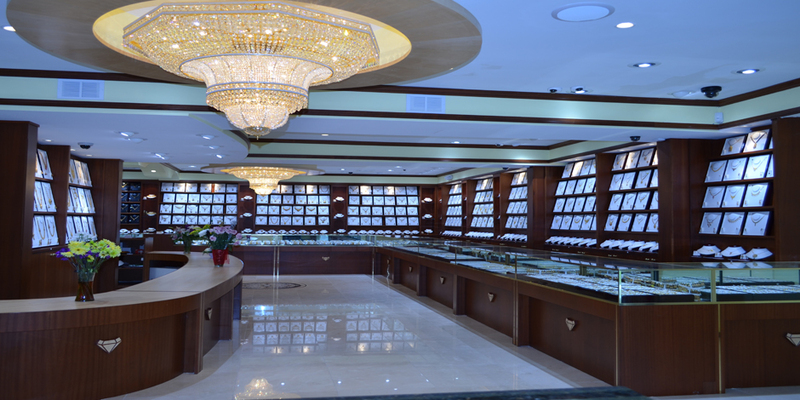 Our offerings include 22K Gold and Certified Diamond Jewelry, Very exclusive brand collections, Silver and gift items, 24K Gold, Platinum and Silver Bars/Coins, etc. We also buy old gold items including 24K Gold, Silver, Platinum Bars/Coins and offer exchanges. We also expertise in offering designer, celebrity and traditional jewelry collection, as we fetch our jewelry from the world’s best manufacturers. We strive to provide all our customers a one stop shopping destination for all their jewelry needs while offering them complete satisfaction and a pleasurable shopping experience. Although predominantly known as a leading retail jewelry showroom, Swarna Jewels also offers a fine selection of merchandise on the Internet at www.swarnajewels.com. With a presentation similar to our store, Swarnajewels.com provides its customers, the convenience of shopping online. Leveraging Swarna Jewels’ strong brand name, Swarnajewels.com provides yet another channel to make a jewelry purchase an enjoyable experience. We are committed to strictly adhere to high ethical values and best industry standards to help us move forward on our way to make our products available for more and more customers. We also try and support social organizations. We have so far sponsored many cultural programs and events. At Swarna Jewels, Quality is Tradition.